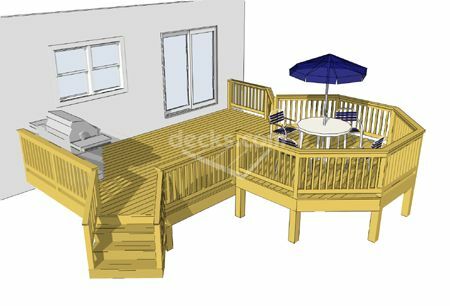 This 2 level deck is extremely functional. 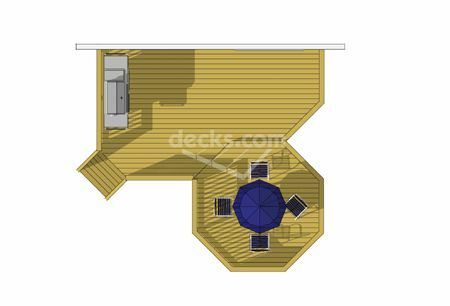 A 21' x 12' multi-purpose deck opens up to a short diagonal staircase and wraps around 2 sides of an elevated 12' x 12' octagon deck perfect for entertaining. 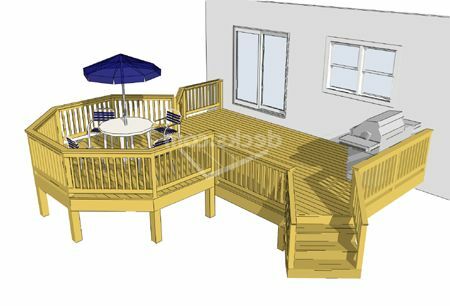 This plan allows you to achieve a variety of design objectives with very little square footage.